After the hectic wedding rituals, honeymoon is a much- awaited vacation for the newly married couples who have been dreaming about. But most of the honeymoon destinations in India are crowded and might be a little painful option for those who are searching a peaceful vacation. Getting hitched is the most romantic thing in someone’s life. This is the reason to ditch all your work and lost somewhere with your partner. Here are some unique and romantic offbeat places for your solemn serenity. 1. North Kerala (Wayanad, Bekal and Silent Valley): Kerala is quite famous as a honeymoon place. Particularly Northern Kerala is one of the developing names as a honeymoon destination in India for those who want peace and privacy. Wayanad is surrounded by the lofty Western Ghats, lush forests, sparkling lake and pristine valleys. It is paradise for couples who are looking for peace. 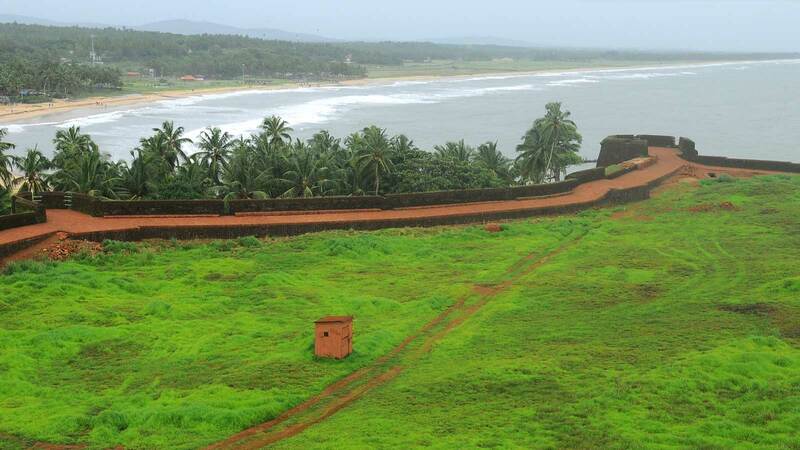 Bekal is a place, famous for pleasant weather, beautiful shoreline and its old fort. Silent Valley is another honeymoon destination. Located within the Nilgiri Biosphere Reserve and it is known for incredible scenic splendours. 2.Annamalai Trail: Topslip, Parambikulam, and Valparai are another set of unique and offbeat honeymoon destinations in India for the forest-loving couples. At the Annamalai Hills, Topslip is a refreshing and lavish green wildlife sanctuary. Valparai is characterised by rich and expansive forests, beautiful valleys and sizzling lakes. Parambikulam boasts of its serenity, richness, and magic. 3.Tawang, Arunachal Pradesh: Tawang is a beautiful place with jagged hills and lush greenery, and now it has become a popular honeymoon destination. Tawang’s pure beauty has managed to get a lot of attention from adventure aficionados. Lofty mountains waterfalls that cascade into deep gorges, azure sky and sparkling lakes make it more than just a travel destination. 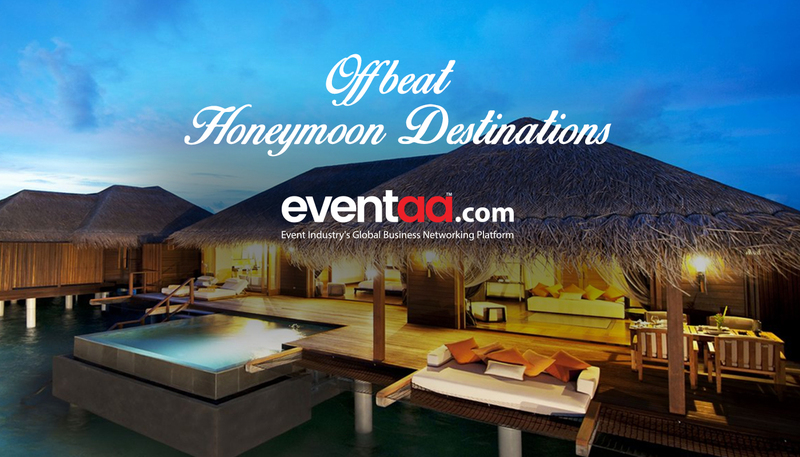 It is an ideal place with the perfect ambience, and the creative set up make your honeymoon more special. 4. 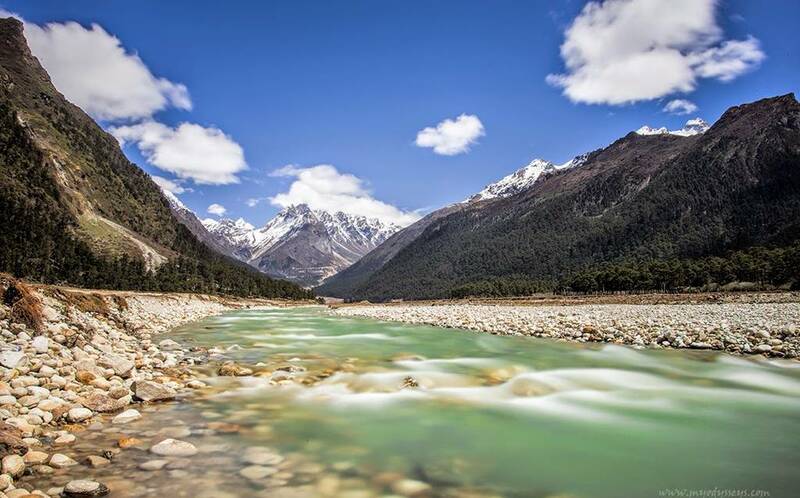 Yumthang Valley, Gangtok: This is a beautiful and famous valley in north Sikkim. It is reasonably called Valley of Flowers because it is associated with the Valley of Flowers in Uttarakhand. Those who love greenery, for them, this can be the perfect place for their post wedding romance. The flowering season from late February to mid-June is the ideal time when many flowers bloom to carpet the valley in multi-coloured shades of the rainbow. 5.Kalimpong: This peaceful place is famous for its flowers. Enjoy the romantic blooms on a visit to Kalimpong. Around four thousand feet above sea level and surrounded by high mountains, Kalimpong has just the kind of charismatic beauty that forms the perfect backdrop to a brewing romance! 6. Alleppey, Kerala: It is famous as it is known as the Venice of the East among couples. Those who are seeking a honeymoon far from the overcrowded city, this is one of the best places to enhance you're after wedding romance. Alleppey is also famous for their honeymoon houseboats, it could be the surprise hammer on your big date. If you are fascinated with the idea, no place will excite you as much. 7. Tarkarli, Maharashtra: To all newly married couples out there plan a short romantic trip to Trakarli. It is a village in Malvan in Sindhudurg district of Maharashtra. Tarkarli is famous for beach and scuba diving. It is one of the best beach destinations in India and an ideal place for beach lovers. 8. 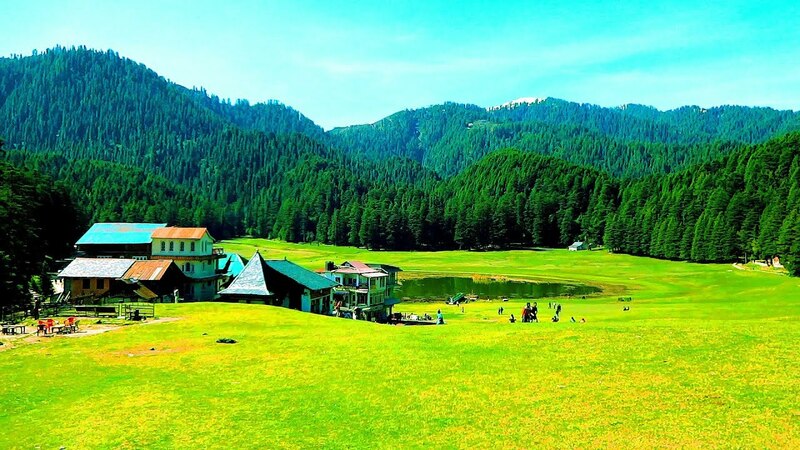 Khajjiar, Himachal Pradesh: Khajjiar is a small little valley tucked away in the Dhauladhar Mountains in HP. It is lovingly called as the “Switzerland of India”. The place does not attract spectators of tourist activities thus it can be a sensation amongst newly wedded couples. A walk on lush, soft meadows enveloped by tall deodar trees as you whisper sweet nothings into each other’s ears. For some special moments visit Khajjiar Lake. 9. Gokarna, Karnataka: It is honeymoon itinerary designed for the lovebirds who want to start their new lives spending some secluded time near the historical wreckage and some tranquil beaches. Sweet aroma and the calm environment will spare you from the hustle life of the city. The beach view near the Gokarna beach is stairways to heaven to deepen your love. 10. Mawlynnong, Meghalaya: This small town, more of a village actually, is considered as one of the cleanest villages in Asia. The scenic hamlet is nestled close to Shillong. The major attractions of the village are the live root bridge and the stunning Mawlynnong waterfalls. The road always seems relatively new, and there’s barely any dust or dirt in the air. It is comfortably romantic for a honeymoon and can be visited all year round. It’s called God’s Own Garden. 11. 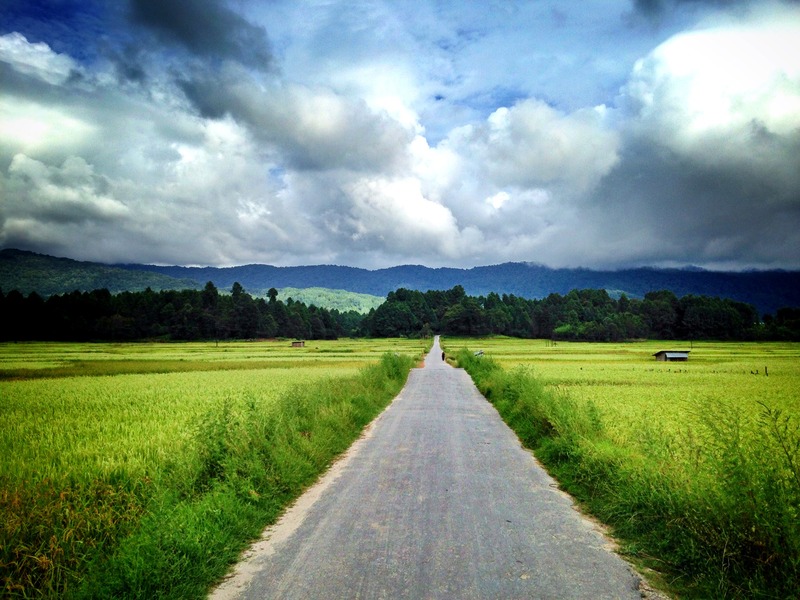 Zero, Arunachal Pradesh: Zero is one of the most beautiful hill stations in Arunachal Pradesh. Bamboo and pine groves and rich variety of flowers make Zero Valley a picturesque place. These natural spectacles set up a perfect ambience for honeymoon couples. 12. Varkala, Kerala: The enchanting landscape and beautiful weather of Varkala make it one of the romantic destinations in Kerala for lovebirds. It also is known as Papanasham Beach, it is Kerala’s one of the best Cliff beach. Cliff covered beaches, and pretty vibrant surroundings give a happy feel to honeymooners. 13. Lunglei, Mizoram: It is a town, situated in the south-central part of Mizoram in India. Lunglei means “the bridge of rock”. It is famous for elegant beauty and natural scenery. Those who want to look away towards nature pure offering, Lunglei is an ideal place for them. So if you are seeking a peaceful honeymoon destination, it is one of the best places for you. 14. Mokokchung, Nagaland: This enchanting district is quite new as a honeymoon destination. 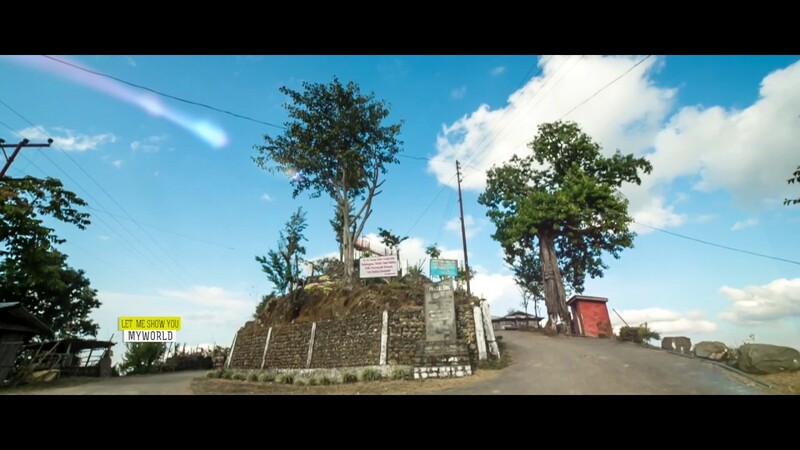 Mokokchung may not have luxury hill resorts, but if you are an adventurous couple and in search of a complete uncommon vacation, then it could be the best attraction for you. All these destinations have lovely weather throughout the year. You can also visit Nubra Valley, Ladakh, Valley of Flowers, Uttarakhand, Haflong, Assam.